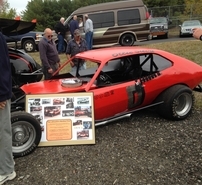 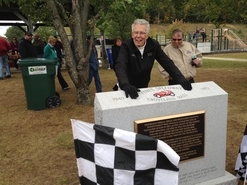 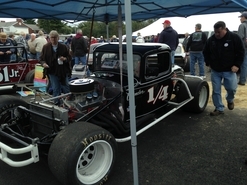 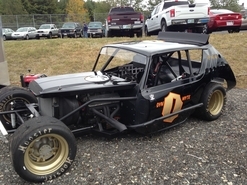 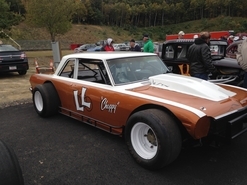 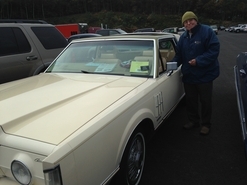 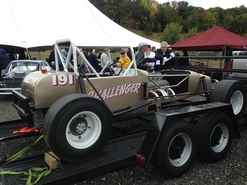 The Grovland Historical Society held its 13th annual "Pines Speedway Reunion" on Saturday October 3, 2015. 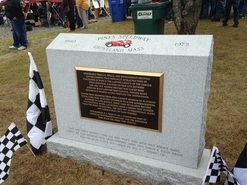 The setting was on the beautiful Merrimac River, in Groveland, Ma on the original site where once the Pines Speedway sat. 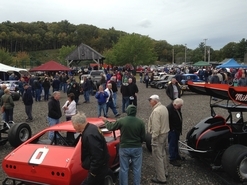 The weather was cold and rainy but it did not stop the crowd from pouring into the site on the old track to pay tribute to it's great but ot forgotten speedway. 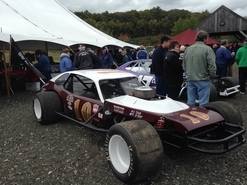 Where ever you turned you could see some of the greatest drivers from the New England area. 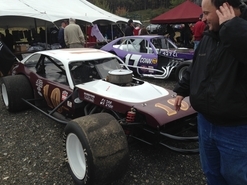 Under the large white tent were special exhibits, vintage photos, scrapbooks and memorabilia of the Pines Speedway. 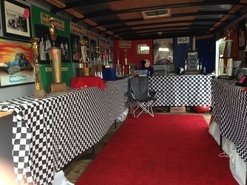 On hand was a live band, raffles and food and beverages. 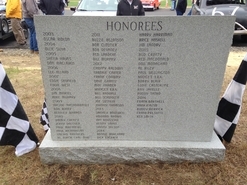 This year's honorees were, Bud Crotty, Red MacDonald, Al Riley, Don Monaghan, and Paul Wellington. 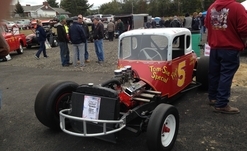 On hand to represent STAR was Charlie Lima #10 Pinto, Richard Eastman with his #0 Pinto and #0 Gremlin, Mike Horsch #1/4 car, John Monaghan #5 coupe, George Baldwin with his LL Choppy Baldwin cars, Skip Richard Eastman display of Ollie Sylvia's trophies and pictures was a hit with the fans. 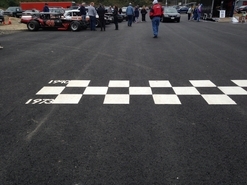 This year the newest addition was the new "Start Finish Line" on the newly paved road. 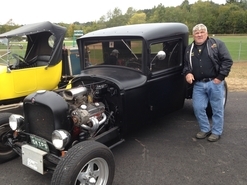 If you missed this show you missed out on a great time! 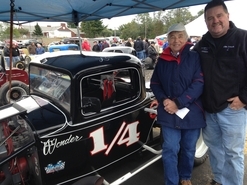 For those of you facebook fans you can go out to STAR's facebook page at Senior Tour Auto Racers and see the video "Walk Through the Pines Reunion 2015"